Now taking registrations for the fall session! 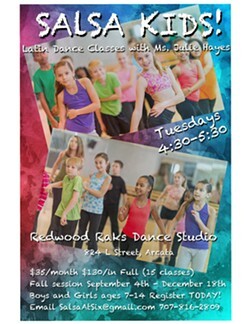 Learn to dance the fun and beautiful Latin Dances with Ms. Julie Hayes. Instruction on Salsa, Merengue, Bachata, Samba and Latin Jazz technique for Kids and young Teens ages 7-14. Class is limited to 18 students, so register soon! Look forward to a recital in December! Request a registration packet: SalsaAtSix@gmail.com Julie Hayes is a credentialed 1st grade teacher who has been dancing all her life. 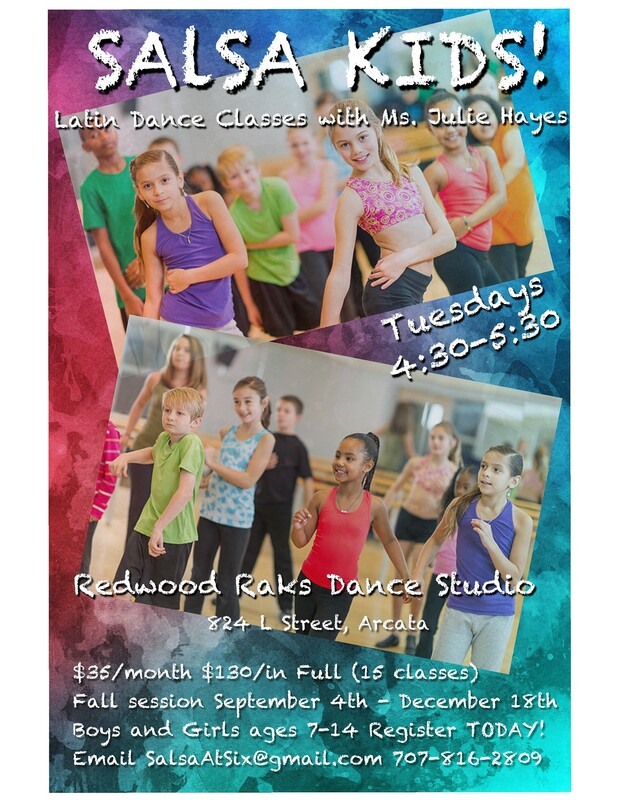 She has taught dancers in Humboldt county for the past 10 years for people ages 3-adult, in Ballet, Jazz, Creative dance, Salsa and Latin Dances.